Alongside other videos based in their properties. 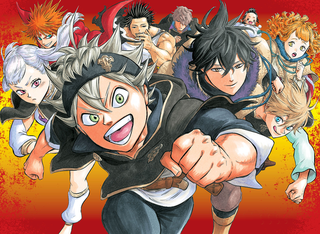 The official website for the public event “Jump Special Festa Anime screening event” has confirmed that it will have a screening of the Black Clover anime, which will take place on November 27. Alongside the already mentioned Anime adaptation, other videos based in the properties like: “Food Wars!”, “My Hero Academia”,” Twin Star Exorcist”, etc will happen. “In a world where magic was everything, there was a boy born unable to use any magic, and he had been abandoned to a poor church as a child. His name was Asta. There it is still not a clear date for the release.